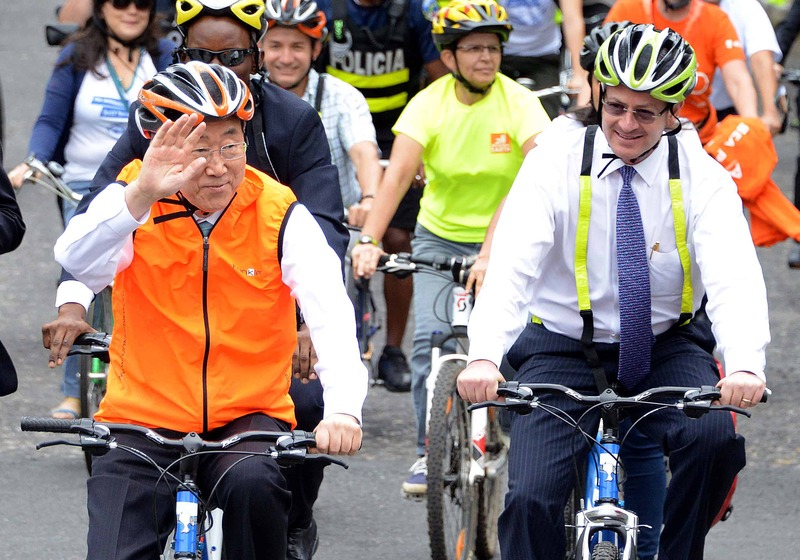 United Nations Secretary-General Ban Ki-moon rides a bicycle next to Costa Rica’s Foreign Minister Manuel González, right, in San José on July 30, 2014. Ban Ki-moon spoke with urban cycling activist Soledad Castro, expressing his support for the environmental and health benefits of biking. Castro told The Tico Times that officials hope to develop a bike lane traversing San José from La Sabana Park to the University of Costa Rica.